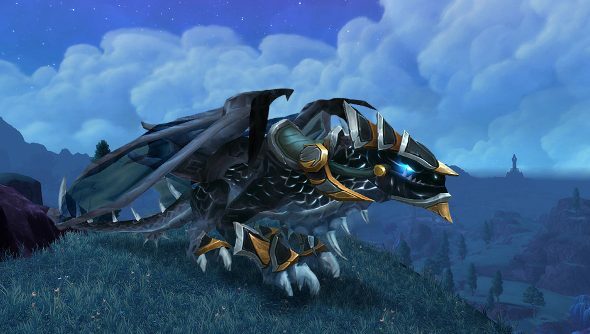 Bizzard have spilled the beans on World of Warcraft’s 6.2.3 patch, which will soon be hitting the PTR. It’s a small patch, Blizzard says, but it’s also a hint of things to come when the next expansion, Legion, launches. Dungeons are going to be a focus for Blizzard as the studio prepares for Legion, and more details on how they are going to “expand the role and importance of dungeons” will be given at BlizzCon. In the meantime, however, this small patch makes some changes to dungeon romps in Warlords of Draenor. First off: new Timewalking dungeons. Six dungeons from Cataclysm – Grim Batol, Stonecore, Lost City of Tol’vir, The Vortex Pinnacle, Throne of Tides and End Time – will be part of this Timewalking bonus event, along with The Pit of Saron from Wrath of the Lich King and Magister’s Terrace from Burning Crusade. During all Timewalking bonus events, players will also have a chance to loot an Infinite Timereaver mount, inspired by Murozond, the final boss of the End Time dungeon , from any Timewalking boss. Valor will be making a comeback with 6.2.3, rewarded to players who take part in heroic and mythic dungeon runs, bonus events and once a week when you use the raid finder. Players who tackle Archimonde on heroic difficulty will be able to nab another mount. Defeat him and get a fragment of dark power that begins a quest, leading to the lovely reward of a fancy Grove Warden. Expect Arena season three, cross-realm mythic raiding and a greater range of dungeon rewards when the patch drops, as well.